I first heard about Starblind through their lead singer, Mike Steel, and was immediately hooked to this band since that day. At the time, only three songs were being streamed through the band’s bandcamp, and, as you may have read from my Starblind preview post, I was completely blown away by the sheer talent that these dudes bring to the table. Just through those teaser tracks was I able to convince myself that “Darkest Horrors” was going to be one hell of an album. Well, after closely listening to the full record, I bring you my full review. Sweden has done it yet again. Upholding one of the world’s most flourishing underground metal scenes, Sweden has constantly been releasing quality records since the 80s. I don’t know if it’s directly linked to their vibrant culture, or the air that they breathe, but man can they ever write some classic heavy metal! 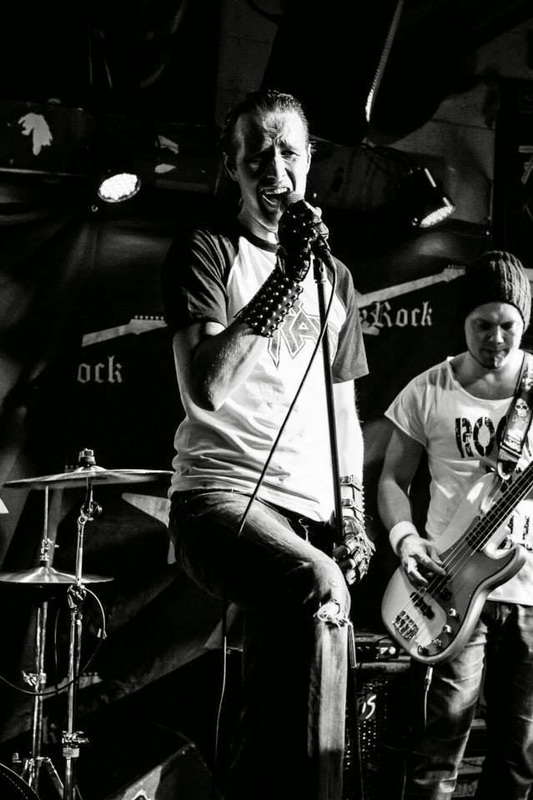 With that being said, I introduce you dudes to Sweden’s next rising band, Starblind. 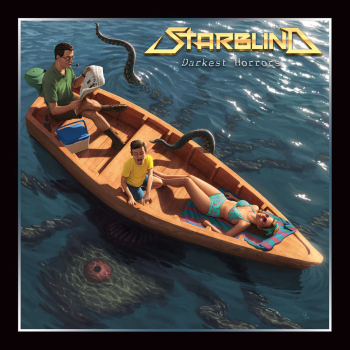 Proudly brewing a sound that attempts to carry the legacy of the NWOBHM forward, Starblind‘s “Darkest Horrors” is ready to take the world by storm! Just when I thought I pretty much had Starblind figured out through their teaser tracks, they go ahead and exceed my expectations once again. First of all, the record is very consistent in terms of songwriting and lengthiness. Starblind‘s incredible ability to create melodies allows nothing but pure enjoyment to be experienced throughout. Most of this I believe is due to Mike Steel’s over-empowering (and almost overwhelming) voice that continues to exceed its limitations on every track. His vocal styles are exactly what makes these talented guys so original, whereby the production only further accentuates the melodies and screams he can effortlessly pull off. A good example to really support this statement is the mighty title track; here, Mike is constantly shifting his vocal tones throughout the track and manages to hit some of the highest notes I’ve heard in awhile, all while managing to make the hairs in the back of my head stand up. This same transition is also heard on “Crystal Tears”, which showcases this same tonal shift, but through a slower progression. Only but my utmost respect goes to this man. In terms of the overall songs featured on the record, I almost never experienced a moment that I didn’t fully enjoy. The guitars are always feeding back leads and melodic riffs that completely immerse you inside the heavy metal universe. You can immediately tell how much of an influence Iron Maiden was to these guys once you break down the writing process of every guitar lead; the guitarists are absolutely obsessed with harmonies and proudly flaunt it on every song. I mean who the hell doesn’t love harmonizing guitar solos à la Iron Maiden and Judas Priest? I thought so. The album also reaches new heights with the overly compelling “The Reckoning”, which is nothing short of a heavy metal anthem; everything from the calming intro to the overdriven guitar leads, to the fist-pounding chorus…this track is a traditional heavy metal fan’s heaven. What I found really interesting was the way in which the tracks are set up to progressively outshine the other, eventually leading to an ultimate climax. As a whole, this allowed for a much more satisfactory experience. With regards to this, the final song on the record, entitled “The Temple of Set”, takes you on a journey like never before. Clocking in at almost 9 minutes, it’s almost hard not to be amazed by the amount of riffs this one track contains, especially during the breakdown at the end. There is always something new and unexpected waiting to happen when experiencing “The Temple of Set” for the first time, and its careful progression eventually leads to the album’s climax. What a way to end the album.